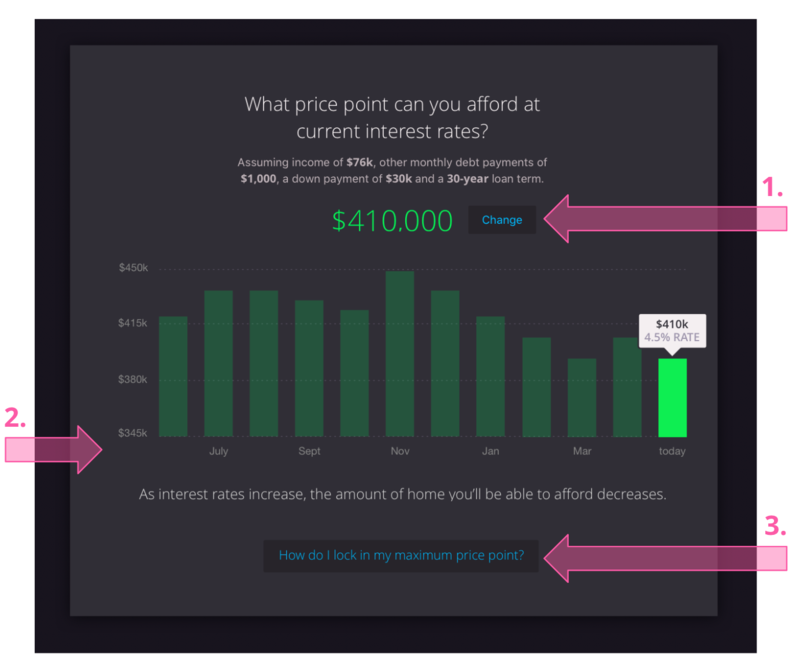 Homebot for Buyers helps convert your renters, investors, and new leads into buyers by showing them insightful information regarding purchasing a home in their favorite markets. From the Buyers tab at the top of the screen, click into YOUR BUYERS and click into their profile. From there, click Preview Report. Price point :: The price point can be set by you or by the buyer at any time. All information below is based on their price point, as well as their favorite markets (zip codes). Keeping these up-to-date will result in the best experience for your potential buyer. Market Temperature :: Use this as a legend to indicate the market temperature for a given locale. A Buyer's Market is represented by lower values in blue, while a Seller's Market is represented by higher values in red. Home Facts :: This outlines the data represented in the various markets chosen. These fields include: Market temperature, Buying timeline, Square feet you can afford, and Average price. 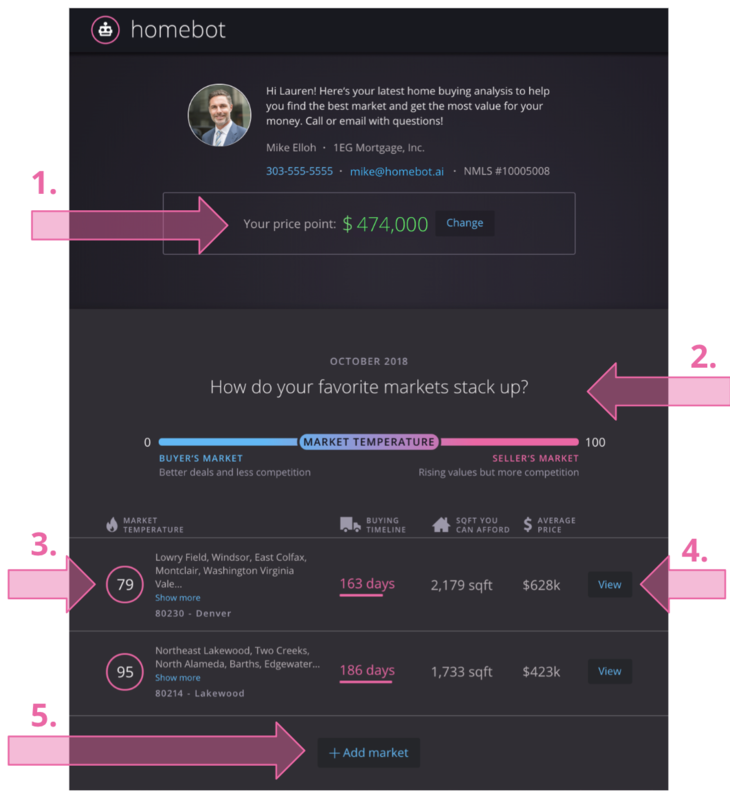 View :: Click into a specific market to learn more by clicking the View button. Add market :: Need to add another market? No problem! Click this button to add another favorite area. Your potential buyers can also Explore more markets and quickly direct message you with questions! Interest rates change everyday and that can affect what your potential buyer could qualify for. Their Market Report will show them how interest rates rising/falling may ultimately affect what they could afford. 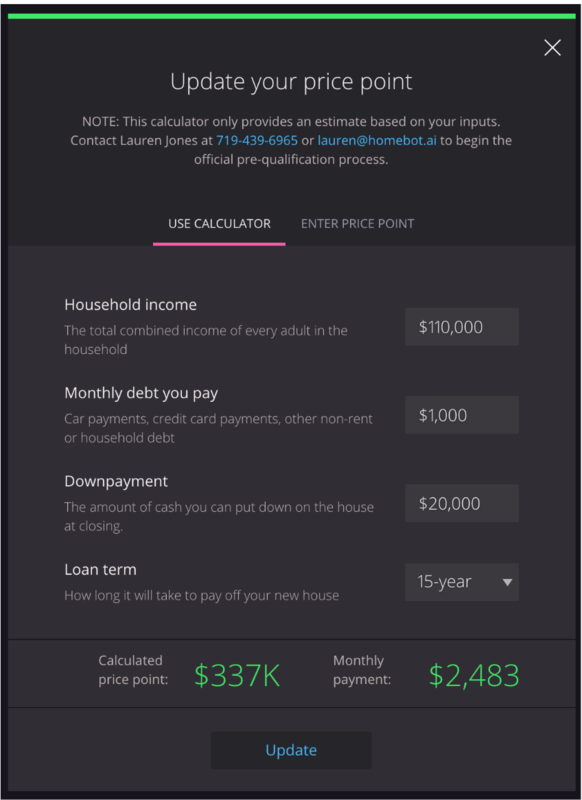 In the example below, you can see that interest rates have been rising, which means their affordability has decreased overtime. Click (1) to Change the price point. Watch (2) to see the affordability graph change over time. Buyers can click (3) to quickly get answers. When updating the Price Point, you or the potential buyer will complete the form below. 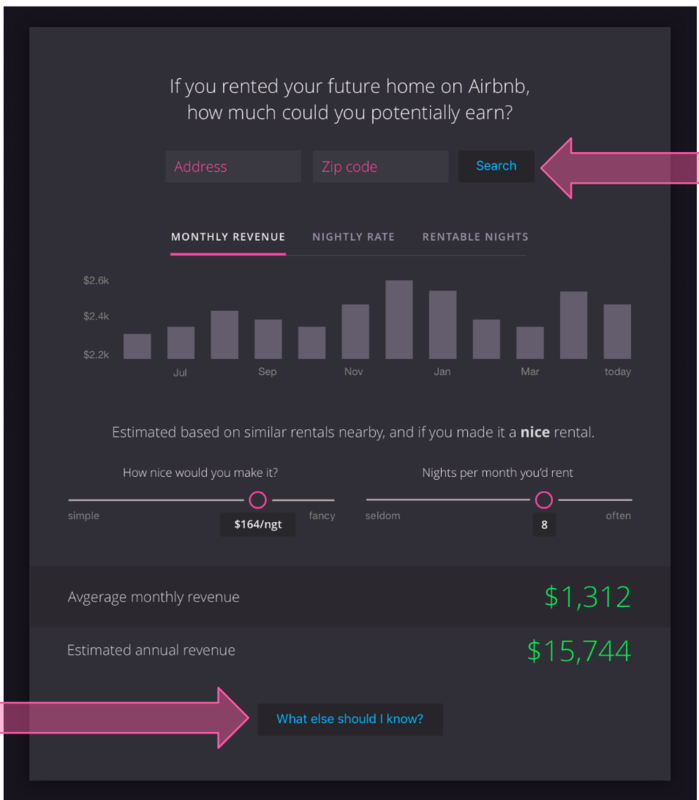 Buyers can also learn more about the potential income opportunities of Airbnb with our short-term rental module. Buyers can enter addresses and zip codes, as well as how many nights per month, to determine earning potential. Exploring new markets is easy with our search and explore functionality. 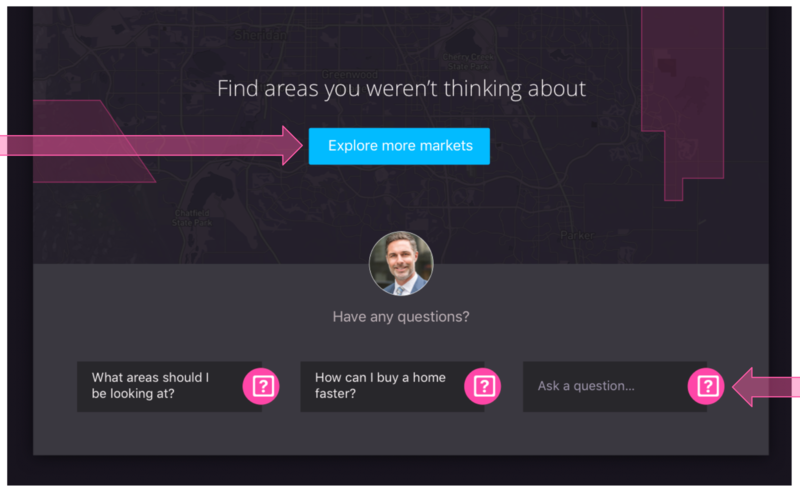 Using this tool, they can search areas to learn where they can find the largest home, quickest buy, popularity, and best deals. That's all for now. Let us know if you have any questions!